Children sledding in The Liberties. Photo submitted by Sue O'Leary. 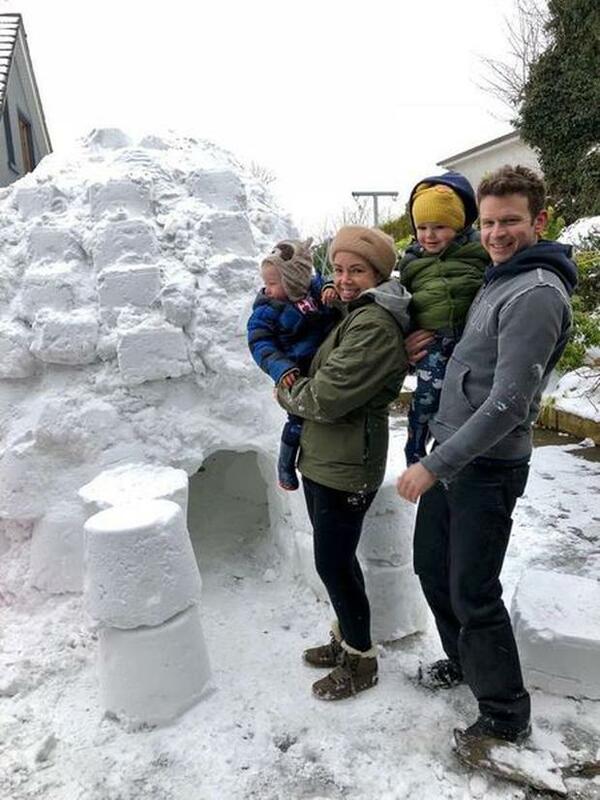 The tallest snowman in Tullamore built by Rachel, Chloe and Katie Fogarty with a little help from their dad Declan. Photo submitted by proud grandmother Eilish Fogarty. (L-R) Grainne Lawlor (friend) and sisters Caitriona and Ciara Smith with the dog Gally from Mucklon Co. Kildare. Photo submitted by Karen Smith. The teenagers spent three hours building this snow thatched cottage.